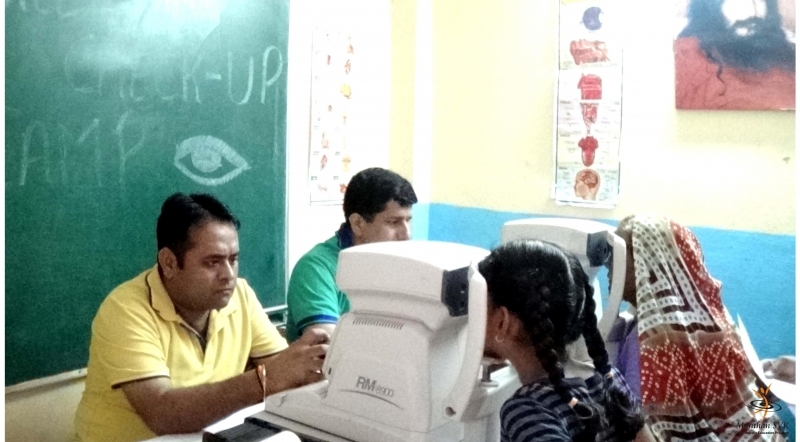 Demonstrating its firm commitment towards under-privileged sections of the society, Manthan, in collaboration with OneSight India Foundation, successfully organized an eye checkup camp at its Shakurpur Sampoorn Vikas Kendra (SVK) in New Delhi on May 15, 2014. Held for Shakurpur SVK students and community people, the camp was dedicatedly supported by ten dynamic volunteers from Manthan and six well trained and experienced volunteers from OneSight India Foundation. A highly qualified Optometrist, along with an Optician, looked after the screening of patients. Over 250 patients, including children above the age group of eight and community helpers, were screened. With a smooth proceeding throughout, the three-step screening process began with vision equity, followed by Auto refractor and concluded with the optical trail set checkup done by the Optometrist. In total, OneSight India Foundation will provide 93 eyeglasses to the beneficiaries who were found in real need of them. It was found that some people with high vision power, -16.50 and -10.75, were not using spectacles. To an utter surprise, they were not even aware of the health of their eyesight. A good nutrition diet was also prescribed to 25 patients. The eye glasses will be personally hand delivered by OneSight team to all the beneficiaries. 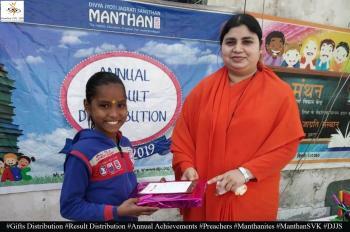 In their Letter of Support, OneSight India Foundation expressed its appreciation for the management of Manthan for doing a selfless job. 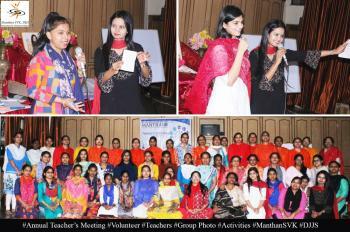 The organization also showed its willingness to partner with Manthan in future projects.